The Seattle region’s technology landscape was in the spotlight in Davos, Switzerland, where top corporate executives and global leaders were gathered for the World Economic Forum. 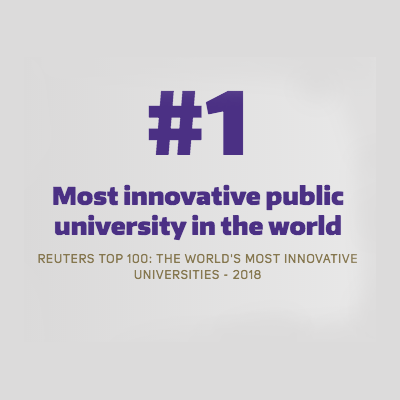 Brad Smith, Microsoft president and chief legal officer, showed a constellation infographic featuring the University of Washington to help make his point about the ways universities and industry can collaborate to foster innovation. Smith cited the UW in an example of the connection between leading universities and innovation ecosystems.